Guangzhou Zhihang Electronics Technology CO., LTD was established in 2006, owns three brands are WINCA ,RoadNav and STQ .Adhering to the enterprise spirit of “innovation, communication, responsibility ”since its founding, always focus on high-tech automotive electronics products in the field of independent research and technology innovation, it specializing in car DVD, car GPS navigation, car digital TV, car electric tail gate lift, Car DVR Camera ,Car Rear View Camera ,Car Rear View Mirror and smart car information exchange system products and solutions for the development and application. Now has developed to be the R & D, production, sales and service in one of the modern large-scale high-tech enterprise. 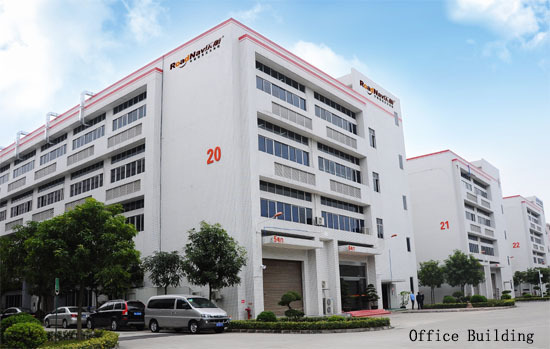 Company headquarters is located in #36,Sangtian yi Road, Yonghe development district, Luogang area, Guangzhou, the branch is located in #46,20 building, Xinye road, Yonghe development district, Luogang area, Guangzhou; Company covers an area of nearly 5200 square meters. Insist the technology innovation to win the market, have successfully developed a variety of platforms. We have obtained the intellectual property rights and technology patents and explore the independent innovation model in this industry. In 2012 year, our factory expand to 25000 square meters, and import the international standard production lines and high speed SMT. Now, zhihang is in a leading position. The company owns the three brands of “Zhicheng”,”Lehang”,” Car GOD”, strive to be the leader of the audio and video industry, to meet the difference groups of customers’ needs. The company also is one of the most important integrated manufacturers of domestic high-tech automotive electronics products industry. In addition, our sales network both at Domestic market and abroad; the products are exported to Europe, Australia, North America, South America, Southeast Asia, the Middle East and other regions. In the future, we will keep on moving. Car navigation system as a high - tech composite product, its development is closely related to modern scientific and technological progress, the development navigation electronic product depends on the technology of continuous improvement and continuous innovation in technology. Zhihang seize core by virtue of research and development team rigorous , and pragmatic of style , constantly launched meet general consumers demand products ; by Zhihang market teams of integration marketing , Zhihang products are all of favored and loved ; looking future , Zhihang will continue to adhere to moving steadily of concept , reasonable effective of management mode , continue to provide the most fashionable, most advanced, most economical car electronic products.